Vietnam is facing the issue of national energy security because it is changing from an energy exporting country into an energy importing country.2 In addition, serious environmental issues arise in relation to Vietnam's use of coal-fired power plants over the past 10 years. Therefore, the government has set out a strategy and policy to improve efficiency in the use of energy and to utilise domestic renewable energy. The government still plays a vital role in terms of investment into the energy sector by using state capital in state-owned enterprises (such as Electricity of Vietnam, PetroVietnam and Vinacomin) and by mobilising capital from the private sector, including foreign investment, in its energy development strategy. Vietnam has to continue formulating legal frameworks and appropriate regulations to create a competitive investment environment to attract and encourage the application of new and modern technologies to balance the demand for environmental protection with national energy security. impose an environmental protection fee on energy projects using fossil fuels, to provide a fund for the development of renewable energy. On 18 March 2016, the Prime Minister issued Decision No. 428/QD-TTg (generally referred to as the Revised Power Development Master Plan VII (the Revised PDP 7)). The Revised PDP 7 contemplates that total installed capacity of electricity generated from hydroelectric facilities will be up to 21,600MW by 2020 and 27,800MW by 2030; from wind it will be 800MW (2020) and 6,000MW (2030); and from solar it will be 850MW (2020) and 12,000MW (2030). The ratios of hydroelectric, wind, biomass and solar power in relation to total power generated in 2030 will be 15.5 per cent, 2.1 per cent, 2.1 per cent and 3.3 per cent respectively. At the time of writing, the Ministry of Industry and Trade (MOIT) was updating the Revised PDP 7, with more renewable energy projects in the centre of Vietnam (including Binh Thuan and Ninh Thuan provinces). Since 2014, the central government, provincial and city peoples' committees and the relevant ministries have been regulating the legal framework step by step to promote the development of renewable energy in Vietnam, including specific feed-in tariffs, exemptions and reduction of corporate income tax and import duty for project companies, and exemptions or reductions of land rental charges. Despite good natural conditions and huge potential for the application of wind and solar energy, the country's renewable energy capacity is still limited to 5 per cent of the total generation capacity. The MOIT pointed out that the regulatory barrier is one of the reasons for the low application of renewable energy. In particular, Vietnam has not completed a national master plan for the development of renewable energy. The current incentives are not attractive enough to investors. Also, the current low FIT does not encourage investments into wind and solar energy. Under the current procedure, the provincial peoples' committees propose plans for renewable energy projects in their province. Given the lack of transparency and the low management capability at local government level, this decentralised planning procedure has resulted in a short-term and limited local approach to renewable energy in Vietnam. Binh Thuan province alone registered 70 out of the 100 solar power projects in Vietnam.5 This fact highlights the short-term and incomplete nature of planning for wind and solar power projects in Vietnam. In general, Vietnam grants ordinary but not special incentives for renewable energy projects, in the same manner as it does to encourage other investment projects in other sectors. This policy of 'ordinary incentives' does not make the project viable from the developers' and lenders' point of view. The most critical issue regarding renewable energy projects in Vietnam would appear to be the need for a special subsidised FIT for wind and solar power projects. However, Vietnam does not yet have approval for the use of the environmental protection fund to subsidise a FIT for wind and solar power projects. 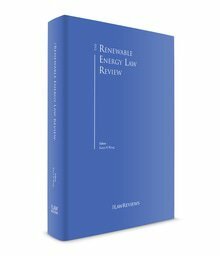 Renewable energy projects are governed by two levels of laws: general requirements for all types of energy projects and specific regulations for each type of renewable energy. Like other energy projects, renewables projects are obliged to comply with regulations on (1) power development plans, (2) the power purchasers and power purchase agreement (PPA) execution process, and (3) approvals and consents from the authorities. Grid-connected renewable energy projects must be included in a regional or national power development plan before reaching the implementation stage. This step is required to ensure that there is enough land for the project. Furthermore, depending on the installed capacity of the project, the Prime Minister, or the MOIT, has to approve such projects for inclusion in the relevant power development plans. For example, solar and wind power projects with capacity equal to or greater than 50MW will be approved by the Prime Minister, while those with capacity below 50MW will come under the authority of the MOIT. The regulatory body authorised by the MOIT to deal with renewable energy projects is the Electricity and Renewable Energy Authority of Vietnam. Regarding power purchasers, it is important to note that, subject to certain exceptions, at present, Electricity of Vietnam (EVN) remains the sole offtaker for all renewable energy projects, and Vietnam still operates a monopoly 'single-buyer' electricity market. Specifically, EVN will authorise its subsidiary company Electric Power Trading Company to negotiate and execute the PPAs with project developers. Corporate renewable-power purchase agreements, subject to certain exceptions, are technically not possible at present, although petitions have been raised on some occasions. Furthermore, as standard practice, renewable energy project developers must obtain the necessary approvals and consents to implement a power project. These include agreements on grid connections, supervisory control and data acquisition systems, and metering; environmental impact assessment approvals; fire prevention and firefighting scheme approvals; and electricity operation licences and electricity generation licences. Decision No. 11/2017/QD-TTg (issued on 11 April 2017, and effective as of 1 June 2017) and Circular No. 16/2017/TT-BCT (issued on 12 September 2017, and effective as of 26 October 2017) on solar power. In addition to this specific legislation, renewable energy projects fall within the scope of legislation applicable to all types of energy projects in Vietnam – that is, laws on electricity, construction, environment and so on – and in the adoption of such laws Vietnam has scope to develop a distinct legal framework for renewable energy projects. The main regulator for renewable energy is either the MOIT (via the Electricity and Renewable Energy Authority (EREA)) or the provincial departments of industry and trade, subject to the capacity of the projects. While the Electricity Regulatory Authority of Vietnam manages the development of all power projects, the EREA has authority and responsibility for regulating FITs for renewable energy. The Ministry of Natural Resources and Environment (MONRE) and the provincial departments of natural resources and environment approve the environmental impact assessments. The provincial people's committees and district people's committees are heavily involved in not only the provincial renewable-energy development plans, but also the whole development of the projects. in addition to the aforementioned incentives, each particular type of renewable-energy project enjoys distinct and special treatment (see below for details). As stated above, subject to certain exceptions, at present, EVN is the sole offtaker for all renewable energy projects, and Vietnam still operates a monopoly single-buyer electricity market. Corporate renewable-power purchase agreements, subject to certain exceptions, are technically not possible at present, although petitions have been raised on a number of occasions. The model power purchase agreement (PPA) for renewable energy projects is mandatory, with different kinds of projects using the same template with minimal changes to specific incentives for each type of project. Furthermore, the bankability of these model PPAs is another critical issue that developers must consider carefully. The fixed term of the PPA is 20 years from the date of commercial operation, following which the parties may agree to extend the term or sign a new PPA under the existing regulations. Solar power is the latest renewable source to be promoted by specific legislation, and assurances have been given that it will be the focus of further attention in the future. On 11 April 2017, the Prime Minister officially approved Decision No. 11/2017/QD-TTg (Decision No. 11) to promote solar energy in Vietnam. Decision No. 11 regulates solar power projects that generate electric power through the use of solar panels to directly convert energy from sunlight into electricity (i.e., the conventional solar photovoltaic (PV) power system). Other types of solar power generation, such as thermal or concentrated solar power or hybrid solar power systems, are not subject to this regulation. The MOIT subsequently issued Circular No. 16/2017/TT-BCT (Circular No. 16) to guide the implementation of Decision No. 11. Circular No. 16, together with Decision No. 11, constitutes the prevailing legal framework for solar energy development in Vietnam. Before the issuance of the Revised PDP 7, most solar installations in Vietnam were small scale, with a limited electric generating capacity of less than 5MW. Now, with the government having given the green light to investment incentives, many large-scale solar energy projects have been commenced, including Fujiwara Binh Dinh solar and wind power project (a 64MW solar power plant initiating operation in the first quarter of 2019) and Thanh Hoa 1 (160MW developed by BS Heidelberg Solar). The following are highlights from the specific regulations on solar power projects. Decision No. 11 classifies two types of solar PV projects: (1) roof-mounted and (2) grid-connected solar projects. Roof-mounted projects are clarified as those that use solar panels made up of photovoltaic cells installed on the rooftops of residential or commercial buildings, or around the premises of those buildings, and that connect to the national grid or the EVN electric grid. Projects that are connected to the national grid or the EVN electric grid but are not roof-mounted projects are classified as grid-connected projects. For grid-connected solar projects with solar-cell efficiency greater than 16 per cent or solar-module efficiency greater than 15 per cent, a FIT will be fixed at 2,086 Vienamese dong/kWh (equivalent to US$9.35 cents/kWh, exclusive of VAT) for generating electricity at the delivery point. Regarding roof-mounted solar projects, a FIT of 2,086 Vienamese dong/kWh (equivalent to US$9.35 cents/kWh, exclusive of VAT) theoretically applies to excess generation as compared with electricity consumed during the relevant year, which is also known as a net-metering scheme. This mechanism calculates the energy used and produced by using a single, bidirectional meter. In a payment cycle, if electricity generated is greater than that consumed, the balance will be transferred to a subsequent payment cycle. At year end (or when the relevant PPA is terminated), the excess electricity generated will be sold to EVN at the FIT price. However, the FIT price for both types of solar project is only applicable to projects with a commercial operation date (COD) before 30 June 2019; however, the FIT price remains in effect for 20 years from these CODs. Both types of solar PV projects whose capacity is equal to 1MW or higher must comply with the national or regional power development plans and are required to fulfil the MOIT licensing requirements. Additionally, the land used must not exceed 1.2ha/1MW. As with solar projects, wind power projects in Vietnam possess huge potential for growth. According to a report by the Vietnam Energy Association (VEA), coastal cities and provinces in Vietnam have recognisable development potential for wind power installations on land of a capacity of up to 40,000 to 50,000MW. When counting in the installation of offshore wind power projects, this could increase to 100,000MW of total installed capacity.6 Additionally, the MOIT has approved master plans for wind power developments in some regions in Vietnam. For instance, by 2030, the Ca Mau wind power installation is tentatively expected to be developed to a capacity of 3,607MW;7 the projected figure for Binh Thuan province is 2,500MW;8 and so on. Circular No. 32/2012/TT-BCT of the MOIT providing regulation on implementation of wind power project development and power purchase and sale contract forms for wind power projects, dated 12 November 2012 (Circular No. 32). The huge potential for wind, together with the incentives, has encouraged developers to undertake large-scale projects: for example, Bac Lieu (Cong Ly Phase 1 and Phase 2) project (with total installed capacity of over 99MW), Huong Linh 2 project (30MW) and Dam Nai Phase 2 (40MW in total). The most notable incentives and the requirements for wind power are as follows. The government has set an incentive for the electricity selling price for grid-connected wind power plants. Decision No. 37 stipulated that purchasers have responsibility for buying the whole electricity output from wind power projects, at the electricity buying price of 1,614 Vienamese dong/kWh (exclusive of VAT, equivalent to US$7.8 cents/kWh). Additionally, the government supports purchasers with a subsidy of 207 Vienamese dong/kWh (equivalent to US$1.0 cents/kWh) of the price for the purchase of the whole electricity output from wind power plants through the Vietnam Environment Protection Fund (VEPF). This electricity price support will be applied in the PPA for a 20-year period. Wind turbines deployed in projects must not have been used before and their production date must not be more than five years old; if used turbines are proposed, the developer must apply to the MOIT for review and approval. The land used for the project must not exceed 0.5ha/MW (0.7ha/MW for temporary wind power projects). In special cases (e.g., difficult location makes transportation of turbines and other equipment problematic, and therefore site needs improved), the maximum land used can be extended to 1ha/MW. As a developing agricultural country, Vietnam produces a vast number of agricultural products, such as rice, sugar cane and coffee. As a result, millions of tons of waste are created, such as straw, rice husks, bagasse, coffee husks, coir, wood or wood residues, and other agricultural or industrial by-products, and these constitute a very valuable biomass resource. The latest statistics from the MONRE anticipate an annual production totalling 170 million tons of biomass, the benefits of which are acknowledged as a decrease in CO2; a rise in income for farmers as they can sell farming waste to biomass electricity producers; and support for Vietnam's sugar cane sector against competitors from ASEAN countries. Therefore, on 24 March 2014, the Prime Minister promulgated Decision No. 24/2014/QD-TTg on Support Mechanism for Development of Biomass Power Projects in Vietnam (Decision No. 24), which was followed and facilitated by Circular No. 44/2015/TT-BCT on Biomass Power (Circular No. 44), and Decision No. 942/QD-BCT of the MOIT on Promulgation of Regulation on Avoided Cost Tariff for 2016 Biomass Power Projects dated 11 March 2016 (Decision No. 942). Circular No. 44 classifies biomass electricity projects into two types, based on whether the biomass project is built and connected to the national power grid or not. A grid-connected biomass project can supply power partially or wholly to the national grid. Distinct from grid-connected biomass electricity projects, a non-grid-connected biomass power project is a biomass power plant project built to supply its entire power output to households in certain areas not connected to the national power grid, and the pricing of the electricity from these non-grid-connected projects is not strictly regulated by the Vietnamese authorities. Electricity and heat cogeneration, or combined heat and power (CHP), is another type of biomass power project that falls within the remit of the MOIT. Defined as biomass power projects that simultaneously provide heat and electricity, CHP projects are sometimes called co-firing biomass power projects. This type of biomass electricity project is widely expected to be deployed in future not only in new biomass projects, but also in existing thermal electric power plants in Vietnam. for other biomass power projects: according to the Avoided Cost Tariff (ACT) for biomass power projects issued by the MOIT annually. On 11 March 2016, the MOIT promulgated the ACT regime applicable to biomass projects, excluding thermal power cogeneration projects, as mentioned above, and power generation projects using bagasse with back pressure for sugar plants (Article 9, Circular No. 44). This tariff provided three very similar prices for biomass power projects for three different regions in Vietnam. The average electricity selling price derived from the ACT is US$7.462 cents/kWh (excluding VAT). A new ACT is announced annually. Where the tariff applicable to biomass power projects has not yet been announced, the tariff of the previous year shall be temporarily used until the tariff applicable to the new biomass power projects is announced. The difference between the calculation under the old tariff and the new tariff shall be refunded to buyers or sellers, whichever is appropriate, in the first payment following application of the new tariff. The government provides assistance with the electricity price for non-grid-connected biomass power projects subject to the principles set out in Circular No. 44. The investor shall prepare a dossier regarding assistance with the electricity price for off-grid biomass power projects and submit it to the General Directorate of Energy and, if necessary, go through an assessment and obtain approval from the Prime Minister. To apply for assistance, a project must have finished the development phase, and have specifically obtained and investment certificate and executed a PPA. Given that Vietnam's population, calculated as of 19 March 2018, stands at over 95 million, the country generates a huge amount of solid waste. The amount of solid waste generated nationally is estimated at about 70,000 tons per day. In large cities such as Hanoi and Ho Chi Minh City, this figure can be 7,000 to 8,000 tons per day.10 Therefore, Vietnam has a great potential for solid-waste power (or waste-to-energy). The government has also identified solid waste as a source of renewable energy to be promoted. According to plans scheduled up until 2050, most of Vietnam's urban solid waste will be used to produce electricity.11 On 5 May 2014, the Prime Minister issued Decision No. 31/2014/QD-TTg (Decision No. 31) on Supporting Mechanism for Development of Power Generation Projects Using Solid Waste in Vietnam. Then, on 8 October 2015, the MOIT promulgated Circular No. 32/2015/TT-BCT (Circular No. 32/2015) to clarify provisions under Decision No. 31 and issue a model PPA. Together, they constitute a legal framework to promote the development of solid-waste energy projects in Vietnam. Under the laws of Vietnam, there are two types of solid-waste power whose development the government is promoting. In the first type of project, solid waste is directly incinerated to produce electricity. The second type produces electricity from combusted gas collected from solid-waste landfill sites. For projects producing electricity by directly incinerating solid waste, the FIT price is at 2,114 Vienamese dong/kWh (equivalent to US$10.05 cents/kWh, exclusive of VAT). For combusted-gas projects, the FIT price is at 1,532 Vienamese dong/kWh (equivalent to US$7.28 cents/kWh, exclusive of VAT). The above prices are adjusted with the fluctuation of Vienamese dong/US$ exchange ratios. In Vietnam, most power projects need to be financed. Overall, senior debt is the most common type of financing for renewable energy projects. Currently, there are numerous stakeholders from various sectors interested in renewable energy projects in Vietnam, such as development banks, commercial banks, funds, governments and strategic investors.12 The specific mechanisms for solar and wind projects legally require developers to maintain equity percentage of at least 20 per cent of the total project capital (i.e., the debt or other finance support must not exceed 80 per cent of the total investment capital). Additionally, the development of distributed and residential renewable energy in Vietnam is in the early stages. The year 2017 was the first in which a net-metering scheme applied to roof-mounted solar projects was introduced; therefore, as yet there is no official data or related information available. The government exempts taxes for imported goods that are used to constitute the fixed assets of renewable-energy projects. Therefore, imported wind turbines, solar panels, etc. for project construction are exempted from tax. Domestic manufacturers of renewable-energy products also enjoy government incentives, similar to incentives for preferred and promoted investment, such as incentives on taxes and land. However, the interpretation of tax regulations may vary in different provinces, albeit the laws are the same. Therefore, whenever such inconsistencies occur, guidelines and official instruction from the state's tax authority are needed to provide clarification. Going forward, we believe that renewable energy will form an essential part of a diverse energy mix of available low-carbon generating technologies in Vietnam. However, the support system for the deployment of renewables generation (including solar energy, onshore and offshore wind, and biomass energy) has left a lot to be desired from the perspective of project developers and financiers. The principal issues are FITs and critical PPA contractual terms, to facilitate the development and financing of long-term utility-scale renewable energy resources. Although the mechanisms of renewable energy have been adopted, the development of projects and fulfilment of the 2030 target are facing numerous challenges. Regarding solar projects, the FIT price is only applicable to projects with a COD before 30 June 2019. The FIT after this date is still unknown, and developers are worrying that the FIT after 30 June 2019 may be lower. In respect of wind power, the actual installation of wind power projects has not reached the projected goal because of the pace of the installation work; therefore high input costs lead to high calculated electricity prices while the FIT is fixed. The government is finding ways to deal with these challenges. Currently, the government is considering an increase in the FIT rate and other mechanisms for wind power projects (e.g., auction schemes). In particular, the MOIT suggested, and recommended, that the government consider and approve an increase of the FIT to US$8.77 cents/kWh for onshore wind power plants, and to US$9.97 cents/kWh for offshore wind power plants. 2020–2023: parallel use of FITs and auctions for existing projects. Meanwhile, solutions for solar and biomass are still in question. We expect the government, in cooperation with international experts, will find the best way to develop renewable-energy projects in Vietnam, contributing both to the development of a new era of the economy and taking a new generation another step closer to a widespread application of renewables technologies. 1 Nguyen Viet Ha and Nguyen Hong Hai are partners at Lexcomm Vietnam LLC. 2 Report on Vietnam energy prospectus in 2017 issued by the MOIT. 3 Decision No. 2068/QD-TTG of the Prime Minister dated 25 November 2015. 6 Vietnam Energy Magazine, Thông tin mới nhất về tiềm năng điện tái tạo Việt Nam (14 August 2017), http://nangluongvietnam.vn/news/vn/dien-hat-nhan-nang-luong-tai-tao/nang-luong-tai-tao/thong-tin-moi-nhat-ve-tiem-nang-dien-tai-tao-viet-nam.html accessed on 16 March 2018 (Vietnamese). 7 Decision No. 1402/QD-BCT dated 11 April 2016 providing masterplan for wind power development of Ca Mau province until 2020/2030. gio-den-nam-2020.html accessed on 16 March 2018 (Vietnamese). http://hanoimoi.com.vn/Tin-tuc/Kinh-te/877389/bien-rac-thai-thanh-dien-nang accessed on 19 March 2018 (Vietnamese). 11 Quyen Luu, Việt Nam còn nhiều tiềm năng biến rác thải thành nguyên liệu cho sản xuất năng lượng (19 August 2017), MOIT Official Website, http://moit.gov.vn/tin-chi-tiet/-/chi-tiet/viet-nam-con-nhieu-tiem-nang-bien-rac-thai-thanh-nguyen-lieu-cho-san-xuat-nang-luong-5992-16.html accessed on 19 March 2018 (Vietnamese). 12 Aurélien Agut, Tran Truong Han, Vu Chi Mai, Peter Cattelaens, Wind Power Investment Guidelines for Vietnam (July 2016), MOIT/GIZ Support to the Up-Scaling of Wind Power in Viet Nam. 13 Phuong Nhi; see note 7.